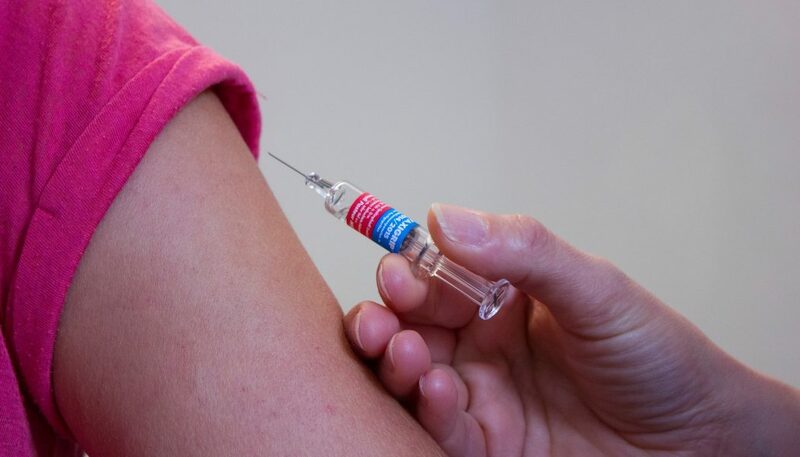 Are you aware of the new bill SB 792 mandating vaccines for California daycare providers? My mother is a retired preschool teacher but she still volunteers at the preschool school from time to time. A week ago the director emailed her informing her she would be subject to a new law. The law was in regards to immunizations for California child care licensees, staff, and volunteers. Its effective date happens to be today, September 1, 2016. According to the new law a person may not be employed or volunteer at a child care center or family child care home unless he or she has been immunized against influenza (option to opt-out), pertussis, and measles or qualifies for an exemption. You can find more details about this law here. My mother quickly called me and asked if I was aware of this law, I was not. The director happened to find out about it in a recent child care class she had attended. Surprisingly the bill was signed by the Governor of California on October 11, 2015 almost a year ago. I researched online and stumbled across this Child Care Licensing Update Quarterly Newsletter from fall 2015. On page three of the newsletter I found even more requirements I was unaware of being a daycare provider. A bill in effect on January 1, 2016 that required one hour of childhood nutrition training. Also a bill where we must complete mandated reporter training on the detection and reporting of child abuse, effective January 1, 2018. As a daycare provider how does one stay up-to-date with all of these new requirements? On the bottom of the newsletter it says the quarterly updates are published by the Community Care Licensing Division for our benefit. I would like to know if there is a way to subscribe to these newsletters by email as opposed to checking the CCLD website for published updates. I’m also hoping to hear from fellow daycare providers. How do you stay on top of these important updates? Were you aware of the quarterly newsletters? Next I did what anybody else would do. I asked my mother if she had a copy of my immunization records. She unfortunately did not have a copy of my immunization records. I searched my facility records and realized I was current for pertussis (whooping cough vaccine). The vaccine is good for ten years and apparently I got the vaccine before I opened my daycare five years ago. For the other vaccines I made an appointment at my doctor’s office with the nurse practitioner. She had me blood tested as proof for the measles vaccine (MMR; measles, mumps, rubella). The results came back on Tuesday and I was told I was not immune to measles and mumps. That I would need to make an appointment to receive the MMR vaccine. Interestingly enough I was immune to rubella. The nurse practitioner told me that it could be the vaccine I received as a baby did not take. She is having me tested again in three months to make sure this time worked. In conclusion, I highly recommend that all California daycare providers check with their licensing program analysts for more information on this bill and how it affects them as a daycare provider. Furthermore, I recommend that you stay current with the quarterly updates by the Community Care Licensing Division (CCLD). How do you get an exemption? Hi Cheryl! You can get an exemption by getting a written statement from your licensed physician. For the influenza vaccine you have the option to opt-out/decline. You can read more about exemptions under the bill SB 792, click here, and see Section 1(b). I would highly recommend discussing with your primary care physician and your licensing program analyst. Hope this helps! As ECE professionals, we call it CHILDcare. We don’t take care of days, we take care of children. You make a valid point. Thank you for commenting.